"Fear takes you to a place that does not exist. Fear is not real so let go and trust that God will see you thru anything He is the real deal, so live in the moment!!" Anne McDonough has been involved in wellness for most of her life. As a little girl growing up in a very challenging family environment, she learned to rely on God and the Archangels for support. Even though she was often afraid, she knew that she was always divinely protected. At the age of nine, she began seeing angels in her bedroom which provided great comfort and support. As she grew older, she often felt their presence thru many difficult situations in her life. She graduated college with a Business degree, got married and started a family of her own. 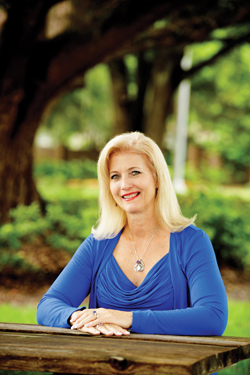 Twenty years later, after having been through several auto accidents and a difficult divorce, she again turned to God and the Archangels for guidance. She started her road to recovery with daily spiritual walks and prayer outside in nature. She began each day at sunrise, her spiritual walks always started with gratitude to God, and lots of physical activity. These walks allowed her to regain her strength physically, mentally, and spiritually. During this year and a half time period, she began building her own wellness business – focusing primarily on the physical. Realizing this was not the complete plan God had chosen for her to follow, she started studying scripture and self-help books. She knew she wanted to help others who had gone thru similar challenges in their lives. She then understood that the key to becoming healthy is to be strong in all three aspects of their lives – mind, body, and spirituality. The most important part of these three is to have a daily personal relationship with God. Her business grew quickly as she followed God’s chosen path for her life and began listening to her messages from above. She started studying life-coaching, and obtained a certification which then lead her to seek certifications in energy work and various healing techniques. When she started implementing what she had learned in her current business, the results quickly began to show. Her business doubled in under two years. In July of 2012, she made the decision to dedicate more of her time to spiritual and intuitive life-coaching. Anne often combines life-coaching with licensed counselors to achieve the best for her clients. She offers fifteen minute complimentary consultations to determine each individuals needs. Many clients have provided testimonials how Anne has greatly helped them. Currently, she offers life-coaching on the phone, in person, or via Skype. Her goal is to help reach as many people as possible and to teach them there is always hope no matter what the situation . Techniques to help reduce stress, relaxation and breathing techniques, how to set and accomplish your short-term or long-term goals in your personal or professional life, meditation techniques, how to obtain your healthy weight and obtain physical goals. Anne also teaches healing retreats, energy basics 101, and relaxation techniques that help you connect with God. She currently works with children, families, and groups. All of the individuals are taught in a customized setting. Classes are done in an interactive setting, allowing everyone to release and relax. Her intuitiveness allows her the ability to understand her clients and help them reach their goals more quickly . Her intuitiveness comes from having a direct relationship with the Trinity and a daily discipline of prayer and meditation. Every session begins with prayer and invocation with God and the Archangels. Anne will teach you how to go within yourself and connect to God. By understanding and learning how to connect to God’s healing energy, you will be able to work at home, office, or school to achieve your ultimate peace. She puts together a customized package for each individual client. She believes strongly in focusing on one client at a time. And began applying the many techniques to teach others. Anne is an amazing women who has given great benefits to many. Personally, she changed my life with her abilities as a Life Coach, and an Intuition and Energy Practitioner. Anne helped me recognize and achieve what I needed in my life to feel happiness , fulfillment and self esteem. Being a Life Coach, Intuition and Energy Practitioner, of course is Anne’s business, however, also her passion. 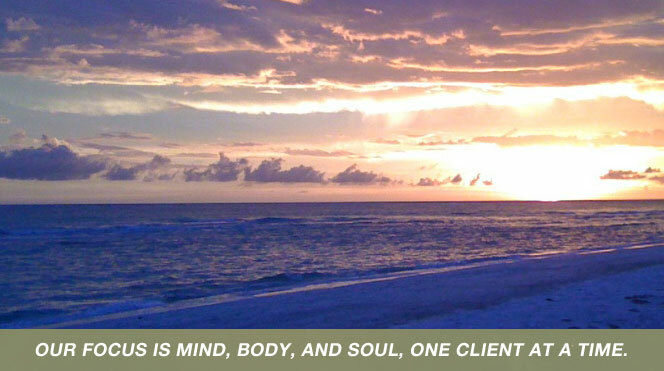 Anne goes above and beyond to help her clients achieve health, inner peace and happiness.